B&W image. 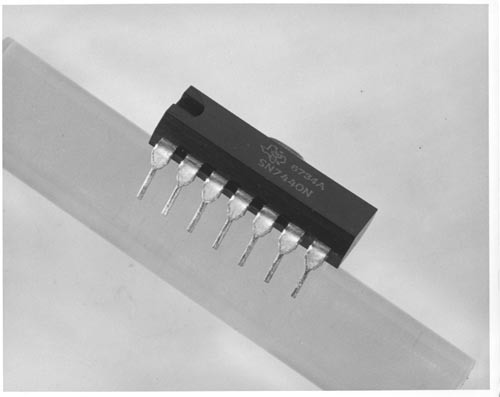 Closeup of TI SN7440N - DUAL 4-INPUT POSITIVE-NAND BUFFERS. The chip is on a ruller with one side of connector pins showing. There is a Ti logo with 6734A beside it.